in Tron 3? And will there be any more Flynn's Arcade appearing in the movie!? I sure hope so, I will miss the End of Line club. RE: Will Tron 3 have Arcade games and or Flynn's Arcade in it still? IF TRON 3 ever gets made that is. Only time will tell! What I'm wondering is IF Jeff Bridges will be returning since he de materialized towards the end. So you would think his character was killed off in TRON Legacy. combatant_3 Wrote:I hope so too. It was awesome to see it in Legacy, especially on the grid, and it's important to have continuity. It would be cool if it was up and running again also. Flynn's Arcade full of life, and an active Tron game, would symbolize Tron's reemergence. I'm definitely looking forward to seeing Tron fighting for the users again. Yes I agree to see Flynn's lit up full of people playing and smiling again! And yes it would symbolize the return of TRON! Bringing the MCP back would be really interesting considering Sam Flynn is taking Encom back, but Edward Dillinger (Cillian Murphy) will definitely be back. Dillenger could be responsible for the return of the MCP. Maybe he'll create a program similar to Sark. 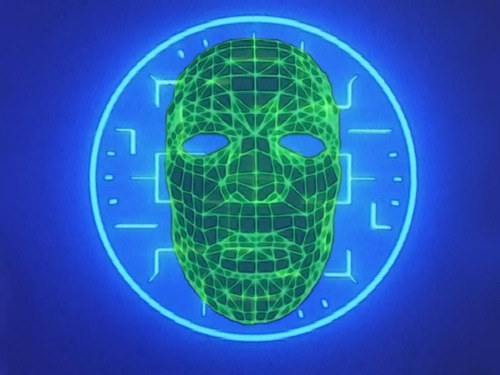 Bringing the MCP back is so far the most likely story plot and Tr3n is just the cover up name until they confirm a title, And on that kevin flynn religious aspect, Flynn's dematerialization has been wondered by fans that in the next movie if sam uses his microchip that has the grid's data on it ,from the end of legacy, and plugs it in to the encom main frame he can use the grid back up recreation program along with the power of the encom mainframe to rebuild kevin and bring him out of the grid also this connection with the encom system will allow the portal to the grid to permenatnly remain open as the encom system has an untold amount of servers worldwide. but to see flynn's arcade fully popular and running again would be awesome and i am hoping that with sam taking over the company encom will release more games and we might actually get a few more in real life. and by the time this movie come out i hope that Tron: Uprising season 2 will be starting, and that electronica will be brought back. on the movie's face book page the last recorded date for release on the event info is Wednesday February 4th, 2015.
combatant_3 Wrote:Bringing the MCP back would be really interesting considering Sam Flynn is taking Encom back, but Edward Dillinger (Cillian Murphy) will definitely be back. Dillenger could be responsible for the return of the MCP. Maybe he'll create a program similar to Sark. Yes I agree Bringing the MCP back.. and a new sark would be Epic! We also need Tron fighting more in Tron 3. I also would love to see Light Tanks VS Recos battle scenes! !